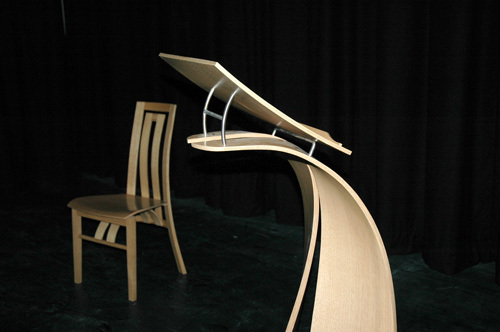 This chair is part of a set, commissioned by Monmouth School and Blake Theatre. The design of the sprung lumbar support adapts to fit whatever shape you are and is therefore particularly good for posture while still remaining comfortable and relaxing. 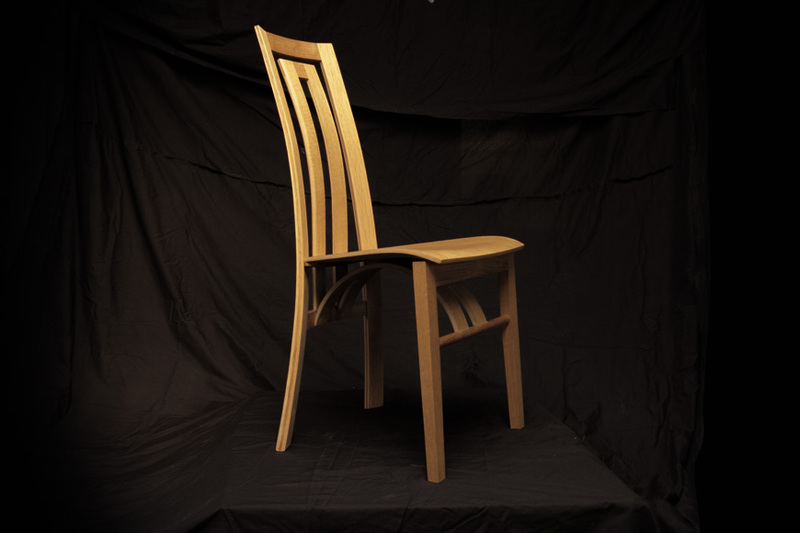 The chair can be put to multiple uses, both commercial and domestic.